What type of documents do we translate? What if I am trying to expand my business to new Spanish markets? Can you help me target my business to that language and culture? Can you create documents from “scratch”? Our highly qualified team of professional translators will give your detailed documents and presentations, personalised attention and provide outstanding service level and turnaround times for all your Spanish and English translating needs. We constitute reliable translation and interpretation service provided, headed by Veronica Munoz (BA), who is registered in the Translation Bureau of the Canadian Federal Government. 3. What is our experience? McClelland & Steward and Infact Publishing Ltd.
START Stress Trauma, Anxiety, Rehabilitation Clinic: Mood & Anxiety Disorders. CLIMATE SUMMIT OF THE AMERICAS 2015, interpreted for Ontario's Premier, Kathleen Wynne; Glen Murray, Minister of Environment; Peter Shumlin; Governor of Vermont, Jay Inslee; Governor of Washington, amongst many renowned authorities on climate change; including the signing of The Climate Action Statement in Toronto, Ontario, Canada. THE INTERNATIONAL ECONOMIC FORUM OF THE AMERICAS 2015, interpreted for Mayor of Toronto, John ToryKathleen Wynne, Premier of Ontario; Mark Wiseman, President and CEO of CPPIB; Tony Clement, President of the Treasury Board of Canada. Toronto, Ontario in 2015. NOVARTIS SCIENTIFIC EXPERT PROGRAM ON SPONDYLOARTHRITIS AND ANKYLOSING SPONDYLITIS oon August 21, 2015 at the Krembil Discovery Tower Auditorium in Toronto. UHN Toronto Western Hospital. PAHO-WHO Mental Health and Mental Wellness Collaboration Meeting - Iqaluit, Nunavut, Canada. September, 2015. SCOTIABANK Brand Management & Marketing Services: Brand Marketing Master Class Day, Toronto, 2016. SCOTIABANK Global Marketing Planning Workshop, June 2016. SCOTIABANK Global Wealth Management Leadership Forum, 2016. SCOTIABANK Global Human Resources Learning Day, Toronto, 2016. BROOKFIELD RENEWABLE ENERGY GROUP: Senior Management Retreat Meeting & HSS&E Health Safety Security & Environment Steering Committee Meeting; June, 2016. BDO Advanced IFRS – International Financial Reporting Standards Training; June, 2016. - Nicholas Thadaney, President & CEO of the STX. - Francisco N. González Díaz, CEO of ProMexico. - Idelfonso Guajardo Villarreal, Secretary of Economy of Mexico. - Chrystia Freeland, International Trade Minister, Canada. - R. C. Lara, Trade Commissioner ProMexico Toronto. - Agustín Garcia-Lopez Loeza, Mexican Ambassador in Canada. - Porfirio Thierry Muñoz-Ledo, Gral. Consulate of Mex. in Toronto. - Francisco Guzman, Head of the Office of the President. - Claudia Ruiz Massieu, Secretary of Foreign Affairs, Mexico. KIWANIS INTERNATIONAL – Building an Effective Formula Team; June, 2016. KNIGHT OF COLUMBUS 134TH SUPREME CONVENTION, Ladies’ Luncheon; Toronto, Ontario. 2016 HERBALIFE LEADERSHIP DEVELOPMENT; Toronto, Ontario. October, 2016. -Women’s Day Celebration 2017 event in Toronto, Ontario. National Mining Agency of Colombia; Toronto, Ontario. Mexican Ministry of Economy & Mining; To., Ontario. -A. García-López Loaeza – Mexican Ambassador to CA. SPORTS MEDICINE CONGRESS & SWIMMING COACHES GOLDEN CLICIC 2016; Windsor, Ontario. World Board Meeting; Toronto, March-April, 2017. -Plenary Sessions, Finances, Planning, Governance, AOB. facility; in Port Elgin, Ontario. · UNITRON International Partners Forum, 2017 in Toronto, Ontario. Forum on New Audiology Innovation & Hearing Aids Technology. Corportate Affairs Director, Torex Gold Resources Inc.
-Jason Carriere; GM, Milman Industries, Inc.
-Denis Champaigne; VP, MANSOUR Mining Tech. Inc.
-E. Kohtakanges; VP Operations, Cementation Canada Inc.
-Chris Preston; Consulting Engineer, iRing Inc.
-T. Caron; GM-L.A., MacLean Eng. & Marketing Co. Ltd.
-L. Zuccherato; VP Intl. Operations, Dumas Holdings Inc.
-Walter-Ryan, HLS Hard Line Solutions Inc.
· ICDE – International Council for Open and Distance Education World Conference on Online Learning 2017. Toronto, Ontario. · EGALE CANADA HUMAN RIGHTS TRUST – ILGA: International Lesbian, Gay, Bisexual, Trans and Intersex Association Board of Governance Meeting January, 2018; Toronto, Ontario. AMERICAN ARBITRATION ASSOCIATION, New York. A.S.A.P. Reporting Services Inc., Toronto, Ontario. UNHCR, IRCC, IRB, CCR & NGOs. June 7-9, 2018; York University in Ontario, Canada. -Leah Winsor, Immigration, Refugees & Citizenship CA. · INTERNATIONAL FEDERATION ON AGEING - 14th GLOBAL CONFERENCE ON AGEING – 2018, Toronto. · BARRICK GOLD Argentina Executive Director - Interviews 2018 in Toronto, Ontario, Canada. 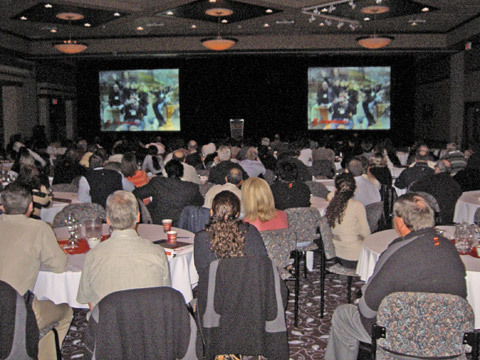 · HOLA SCOTIABANK in Toronto at the Scotiabank Conference Centre in Ontario, Canada. UNIFOR Family Education Centre; Port Elgin, ON. Canada. Inclusion & Technology for Children’s Wellbeing; ON, Canada. -Garrick Tiplady, M. Director, Facebook & Instragram CA. -Vanessa Saraiva, World Vision Programs-Policy WV, CA. -R. Aznar Daban, Child Protection Specialist; UNICEF-NY. Meeting of the Primates of the Americas & the Caribbean at The Sisterhood of St. John Devine, North York, Ontario, Canada. -Angelo DiCaro, Trade & USMCA Deal, Research Depart. -Human Rights, Racism, Systematic Discrimination in Ont. 4. What are our credentials? 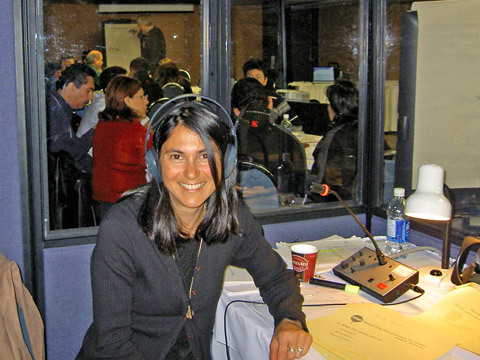 7/17 – 8/17 YORK UNIVERSITY GLENDON COLLEGE MCI LAB, Professional World Conference Interpreters CoLaB. Toronto, Canada. 3/87 - 11/87 UNIVERSIDAD NACIONAL DEL LITORAL DE DERECHO. (University of Law) Santa Fe, Argentina. · School of Social Psychology -Three-year Program in Social Psychology. Verónica Muñoz has studied both English and Spanish extensively and has taken many post-graduate courses to perfect her professional performance and increase her tools in the field of translation, interpretation and communication. 09/2018 MULTI-LANGUAGES ANNUAL CONFERENCE on Translation & Interpretation, Toronto, Canada. Certificate from full participation at St. Michael’s College. 6. What about free estimates? We offer all estimates cost free. Please contact us first to arrange to receive the necessary information and documents we require to provide you with a more accurate estimate. 7. What type of documents do we translate? We translate a wide range of documents and we give personalised attention to each of our documents, making sure that there is consistency in the specific terminology used althroughout the documents; so that it may read as if it had been written in the original language into which it is being translated. 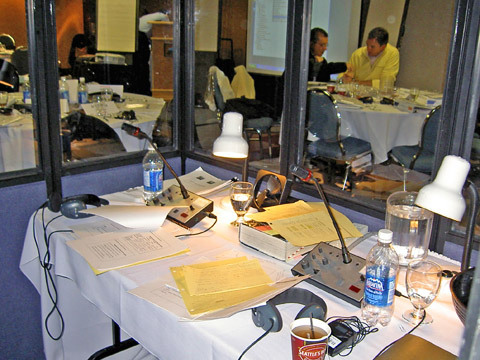 - An isolated booth for both interpreters and their corresponding mikes and headsets. - Headsets for all members of the audience who require interpretation for them to here the live presentation in their native tongue. - All necessary audio-related system. Please contact us to receive a free estimate and more information on booking such services. We translate a wide range of documents and we give personalised attention to each of our documents, making sure that there is consistency in the specific terminology used throughout the documents so that it may read as if it had been written in the original language into which it was translated. We research and study all information to be translated and do interdisciplinary work prior to any translation or interpretation assignment in order to ensure that our service meets your highest expectations of excellence. We guarantee 100% confidentiality in all our work and business transactions to ensure that all your information is kept strictly private and confidential. Confidentiality agreements can be signed, in addition to our standard contract. 10. Where are we located? 12. What if I am trying to expand my business to new Spanish markets? Can you help me target my business to that language and culture? We also specialize in generating original promotional marketing and sales material, documents and ideas right from scratch exclusively tailored to suit your unique corporate needs that will give your company a leading-competitive edge in Spanish-speaking markets. 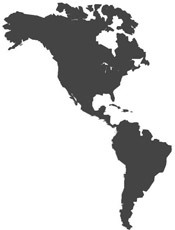 We can help you cross the cultural and language bridge to reach all your potential Latin-American and Spanish speaking markets. Our highly qualified team of translators and interpreters hold university degrees in Language and Communication as well as being Spanish-native speakers which allows them to apply their deep understanding of the Latin culture and business. This becomes an asset to provide you and your business with ideas, the design of promotional and marketing materials and to help you expand with freshly culturally applicable packages to target your business to the profitable Spanish markets. Statistics show that Spanish is essential to the English speaking business population. This in turn, has caused the need to find fast and effective ways to be able to provide highly professionally business documents in this language. We will meet all your language goals in your performance in the Spanish markets. 1. It will get you talking and communicating directly with your clients by our taking care of overcoming all your language and cultural barriers so that you may meet all your corporate needs. 2. It will allow you to introduce and handle your business in the Spanish markets by furnishing you with the necessary documents and information written directly in Spanish to meet all your business and travel needs abroad. 3. It will make your business more expansive and effective in our rapidly growing global economy. Benefitting by NAFTA and the global village, more and more businesses are now reaching Spanish markets. As the world becomes a smaller place, effective communication becomes a essential tool. Having professionally written and produced material is the next step in achieving first-hand success in all of your company’s potential transactions and operations in the lucrative Spanish market. In providing you these services, we can help you increase your business’ presence, and enable you to work easily in Spanish-speaking communities. Last revised: September 11, 2015.